– 2 to 13 riders will participate on this ride. – All skill levels welcome. – Children 8 years and older are allowed. – All horses will be walked through the dune. Walking or trotting is permitted on the beach. 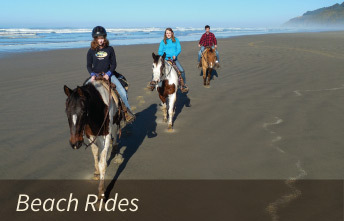 – Once on the beach, all riders must stay within 500 feet from the guide at all times. – No hats without chinstraps. – Please read Before You Ride before your ride. – Minors (under 18) must have a parent or legal guardian sign the Sign-In forms. We cannot let any minor ride without it. – Children 6 years and older are allowed. 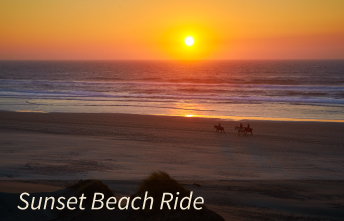 – Due to soft sand conditions, this is a walk only ride. 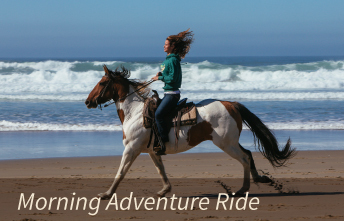 – This ride is best for inexperienced riders or advanced riders wanting a laid back experience. – Up to 6 riders will participate on this ride. – Children 10 years and older are allowed. – All horses will be walked through the dune. Walking, trotting or cantering is permitted on the beach, one at a time to avoid competition between the horses. – 6 to 12 riders will participate on this ride. – Must reserve at least 48 hours in advance. – Ideal for children 5 years and younger. Older okay. This is a guided ride for your group only, with a 2 rider minimum. We offer celebrations for all ages. 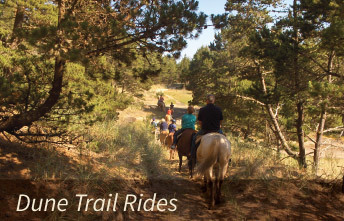 Our birthday package for kids can include hamburgers, hot dogs, cake, ice cream or pony rides in the Corral, Trail or Beach rides. Please call us at (541) 997-7540 for pricing. 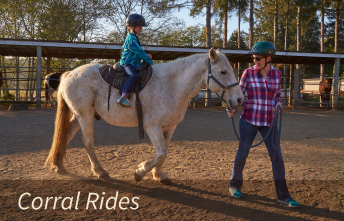 Kids learn a bit of everything in this weekly club – grooming and taking care of horses, as well as proper and safe riding. Have fun and learn on group rides with up to 6 beginning to advanced riders. Show up early to brush and saddle your horse or just come to ride. Each session is up to 2 hours in length. To sign up, call the office 10am to 5pm daily (541) 997-7540.